I hope everyone had a happy and blessed Easter! Good thing Ane was wearing heels, or she would reveal that Tad is actually taller than she is in real life. More pictures tomorrow, I promise! 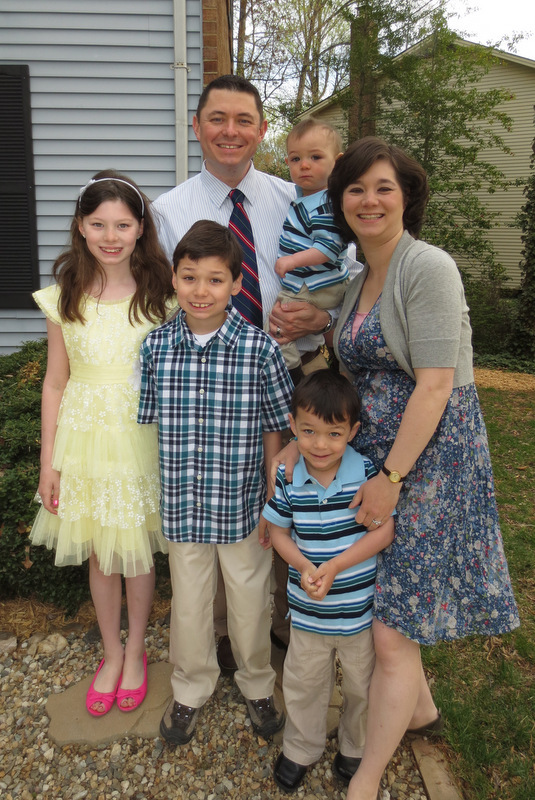 Easter is this weekend, and Facebook helpfully reminded me that five years ago, we were in Washington DC, visiting the Major and Q-Bee and the family, celebrating Easter with them. In fact, that Easter Sunday will be exactly five years apart from this Easter Sunday. And the kids have definitely grown! Auntie is coaching JV softball again this year, and her team lost to Ane’s high school in extra innings tonight. Let’s just say that Auntie was rather disgruntled when she got home. But since it was post-swimming, we were all there eating dinner. Thumper was wandering through the house when Auntie stopped him. ”Thumper, come here, I need someone to cuddle with after this game,” Auntie coaxed him. He walked away, and we all cracked up – except Auntie. It was brutal, but it was pretty darn funny. The kid’s timing was dead on perfect. It’s been 20 years to the day that the Webmaster and I went on our first date. We had already known each other for about five years before said date, and I had been hearing about him for about nine months before I actually met him. 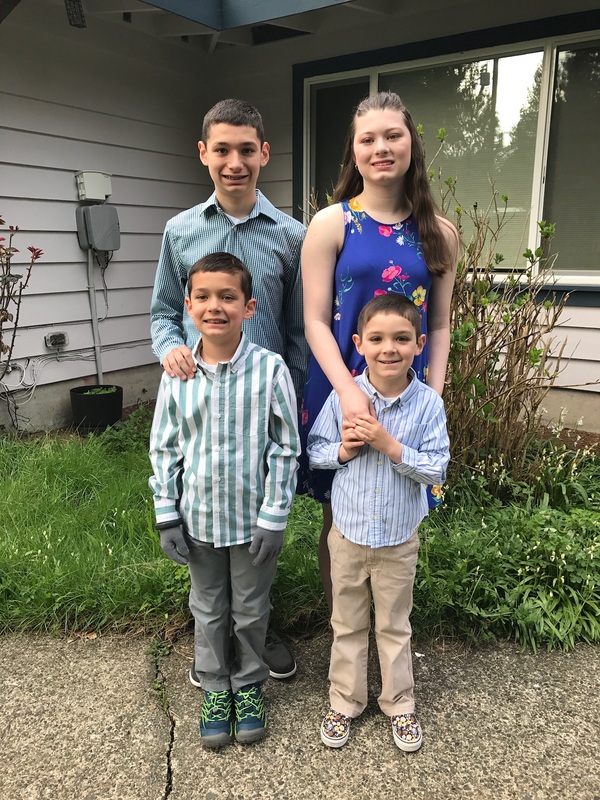 Still, it’s a pretty big milestone to realize you’ve been together for that length of time as a couple… so we went out to dinner, because Ane is old enough to watch the boys for the evening and we know the house will still be in one piece when we return. Dinner was a three-course deal at one of our favorite restaurants, because it was “Seattle Restaurant Week” and they had set specials for the three courses. 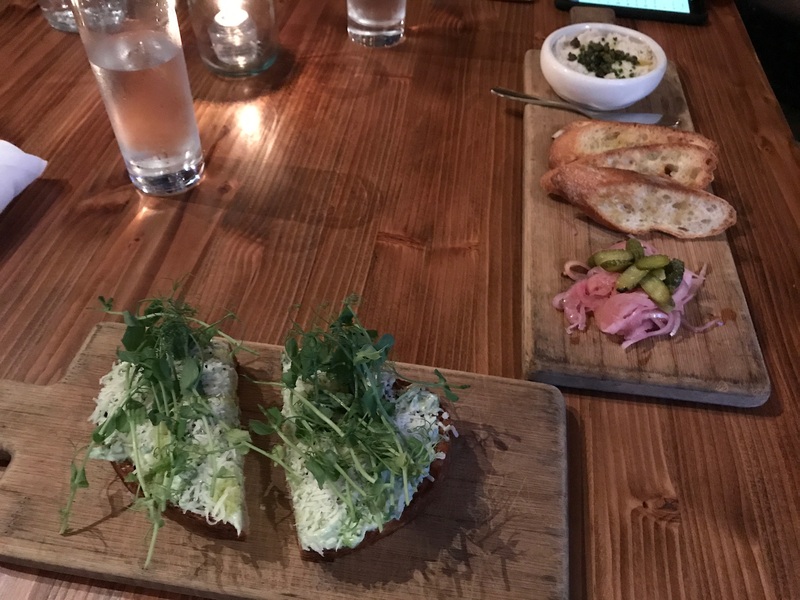 Naturally, I only took a photo of the appetizers. We really need to take advantage of our free babysitter more often. And don’t feel bad for Ane – she is being compensated handsomely this summer. She’s going to spend a week and a half in Maui with her BFF Lisa, and we already bought her ticket. A few evenings spent not killing her brothers while we go out seems fair.